RIYADH - Saudi Arabia’s King Salman has embarked on a domestic tour this week with his favorite son, demonstrating his support for his chosen heir despite the crisis spawned by the murder of journalist Jamal Khashoggi. 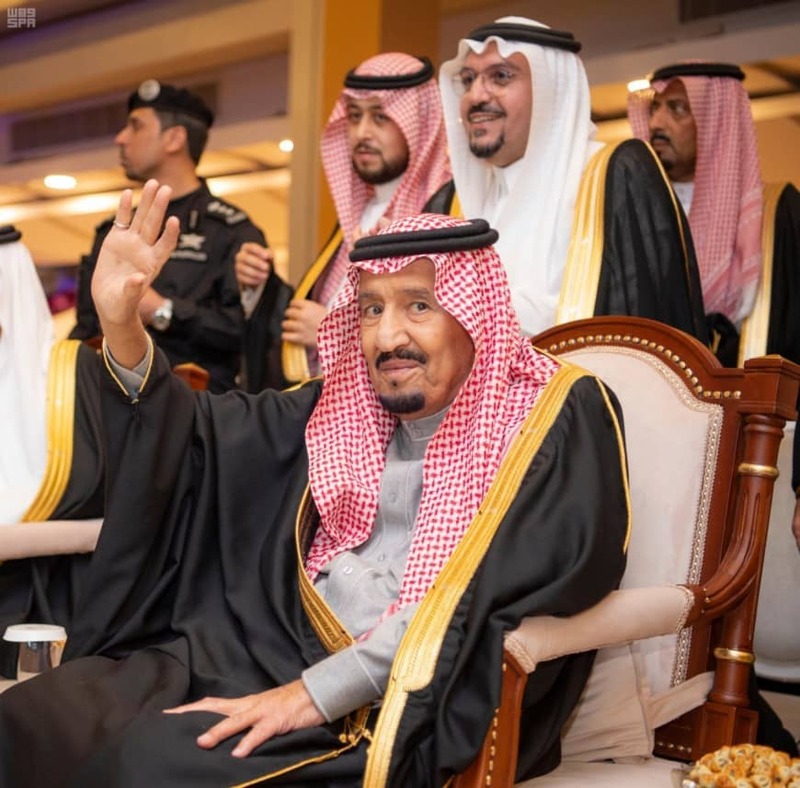 Roads were lined with Saudi flags and images of the king and his son, Crown Prince Mohammed bin Salman, when they arrived in the central region of Qassim late on Tuesday. Distinguished figures greeted them and children offered flowers. Turkish officials have accused MbS of ordering Khashoggi’s murder. U.S. President Donald Trump has suggested ultimate responsibility lies with the crown prince as de facto ruler. Saudi Arabia, which offered numerous contradictory explanations for Khashoggi’s disappearance, now claims the U.S.-based Washington Post columnist was killed in a rogue operation. MbS broke weeks of silence on Oct. 25 to vow justice would prevail. After weeks of lying low, the prince has now returned to the public stage. He visited troops near the border with Yemen, where Riyadh is involved in a 3½-year war, appearing in an online video on Monday with a soldier he called a hero. In a ceremony at a Riyadh university, he laid the foundation stone for a planned nuclear research reactor. There have been signs since last week that some princes are being rehabilitated to foster family unity in the wake of the Khashoggi killing. Last week, one of the king’s surviving younger brothers, Prince Ahmed bin Abdulaziz, returned from 2½ months abroad where he had appeared to criticise the leadership. Diplomats say the ruling family is “circling the wagons.” But there is no indication King Salman is considering elevating another prince, either to replace his son or balance his authority by serving as his deputy. The king’s decision to put MbS in charge of restructuring the intelligence apparatus — a move aimed at addressing a purported cause of the Khashoggi crisis — indicates that the crown prince remains “untouchable,” the diplomat added.